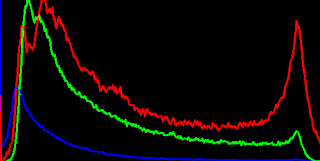 A Example source code for rgb histogram, the source code uses calcHist function in opencv. Important things in the source code are the part of split rgb mat to vector and drawing part. 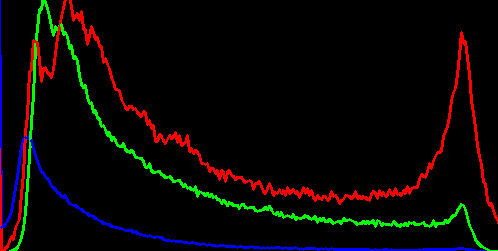 opencv histogram stretching, example source code.